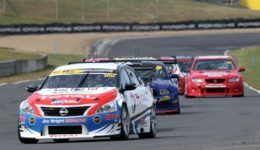 Jack Smith has continued his dominance in the BNT V8s, taking Gull Pole Position by 0.289 over the Nissan Altima Nick Ross. Class two Gull Pole Position winner, Matt Podjursky. 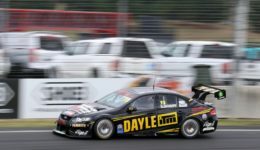 The Championship leader set his time 01:08.404 in his Holden Commodore on the second leg of the qualifying session having pitted for a fresh set of green tyres. 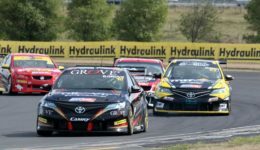 The third spot on the gird was taken by Smith’s teammate Lance Hughes with the Toyota Camry of Brenton Grove fourth, and fellow Camry driver Chelsea Herbert fifth. Class Two pole was won by Ford driver Matt Podjursky, who logged a lap of 01:13.854 to be 0.729 better than nearest rival Justin Ashwell also in a Ford. Class three pole went to the Holden Commdore Tony Anderson, followed by the BMW of Andrew Nuggent and Blair McDonald also in a Holden.